Some 80 percent of Moms are the primary decision-makers when it comes to the health of their families, yet 66 percent feel misunderstood by healthcare marketers. To close that gap, here are five tips to consider when developing plans for marketing healthcare services to Moms. Healthcare Marketing Tip #1: Don’t equate pink with female-friendly marketing. So while pink may now be a common shortcut to representing femininity, that wasn’t always the case. In fact, the association is currently having a negative effect, according to one study that observed negative reactions toward the use of pink in breast cancer awareness advertising. Why? Because pink emphasizes that breast cancer is a risk for women alone, and the connection between the color and gender provides a higher likelihood that women will go into denial about the possible dangers to their health. To avoid your audience having the same reaction, go easy on the pink. Healthcare Marketing Tip #2: Think outside the traditional family. ABC’s sitcom Modern Family features an unusual family dynamic, with an older man married to a much younger woman — both of whom have children from previous marriages. The man’s daughter is married with three kids, and his gay son lives with his partner raising their adopted daughter. But some viewers have taken issue with the show’s title. In spite of the family’s unusual makeup, they argue that the three families are actually quite traditional, since each comprises a two-parent household, with one parent staying at home while the other works. These critics may have a point. According to Jamie Dunham, 41% of all births today are to unwed mothers. Nuclear families with two parents may have been common in the 1950s, but that is not the case today. Be sure your marketing images reflect the times by avoiding overuse of the traditional family. Healthcare Marketing Tip #3: Ask about their challenges. Nothing beats going straight to the source for ideas and feedback, and one of the best ways to know what your customers want is to simply ask. Create a survey for patients to fill out. Ask them what their biggest challenges are. Ask them what they like about your product or service, and what they’d like to see done differently. Keep track of the questions your patients ask and answer those in-depth. Healthcare Marketing Tip #4: Be active on social media. Women are extremely active on social media. This has important implications for healthcare marketers, because it means those sites are becoming crucial sources of information for Moms — for everything from the latest research on vaccinations to how to treat the stomach flu. And remember that patients are also searching for videos to answer their specific questions. Work this trend to your advantage by being active on Facebook and other social channels, including YouTube, providing healthcare tips and information about your services. Healthcare Marketing Tip #5: Be a source of information for Moms. Besides being a resource on social media, be sure to provide information on your website through your blog and other forms of content. 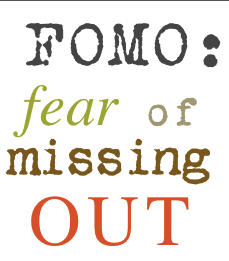 Think about your patients and what most concerns them. What are the top 10 patient conditions that you typically treat? What are some medical myths that you’d like to debunk? What are the common safeguards during flu and allergy seasons? Gain Moms’ trust by making information easily accessible. Promote your content through social media channels. In addition to blogging, consider creating an email newsletter – 84 percent of Moms report sharing health-related information via email. And remember that Moms are true believers in word-of-mouth – when they find valuable information they feel compelled to pass it along to friends and family. Today’s Mom is a social-media savvy consumer who gets her information in a variety of ways. She may or may not be married, and marketing messages that target yesterday’s women in stereotypical ways may leave her rolling her eyes. 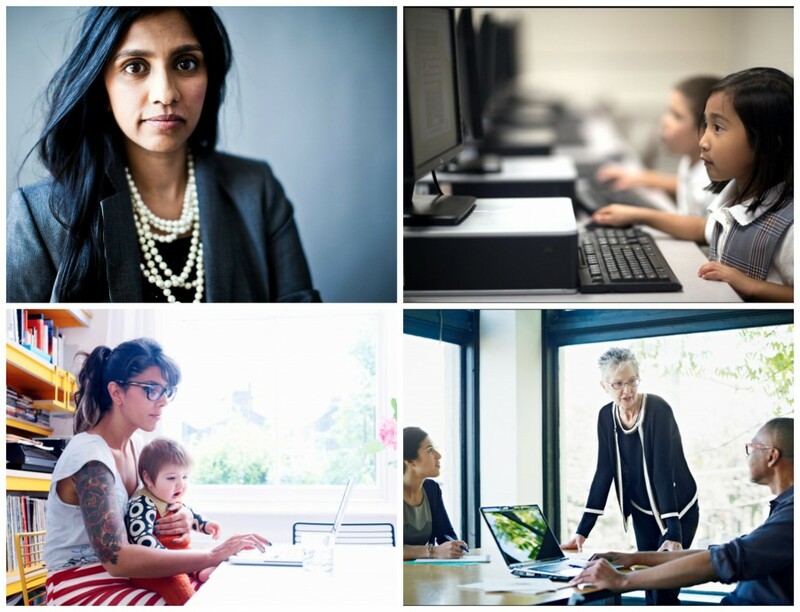 Kudos to LeanIn.org and Getty Images for coming together to offer a special collection of images that represent women and families in more realistic ways than the traditional stock photos of a businesswoman in a suit with glasses, or a mother pouring milk into their child’s cereal bowl. There is an appetite for the images: The three most-searched terms in Getty’s image database are “women,” “business” and “family.” As Getty subscribers search images they will now see these new images alongside the usual ones, or they can specifically search Getty’s Lean In collection. Moms Use Technology: Who Knew? For the first time, this year’s CES (International Consumer Electronics Show) dedicated a series of sessions to the use of technology by moms –– demolishing a long-held stereotype that women/moms are technologically illiterate. And a recent survey by BabyCenter LLC, a leading online global resource for expectant and new moms, indicates that nothing could be further from the truth. 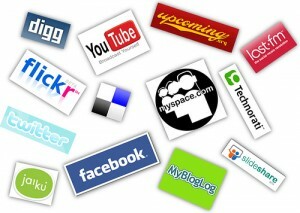 44% use social media sites and blogs for purchasing and brand recommendations. The percentage of moms reading and writing blogs also has increased dramatically since 2006. 82% of moms were actively seeking second medical opinions via the Internet. Moms are using PDA technology to manage hectic family schedules, digital cameras to share family life and gaming consoles to connect with their children. I’m not sure if any of this came as a surprise to me, but then again, I am a mom. I am a Digital mom who sometimes feels that she lives on the Internet – both for work and pleasure. I shop online (oh, how I love Amazon! ); I bank online, and evaluate products online. I would be lost without Google. I love that I don’t have to stand in line at the post office to buy stamps. And I particularly love that I can stay in contact with long-distance relatives in a way that was impossible just a few years ago. So, if we’ve come this far digitally in just a few short years, where does that tell us we’ll be going over the next five years? It’ll be fascinating to find out.